The strtok function is one of the String Function, which is used to parse or tokenise given string using a delimiter. 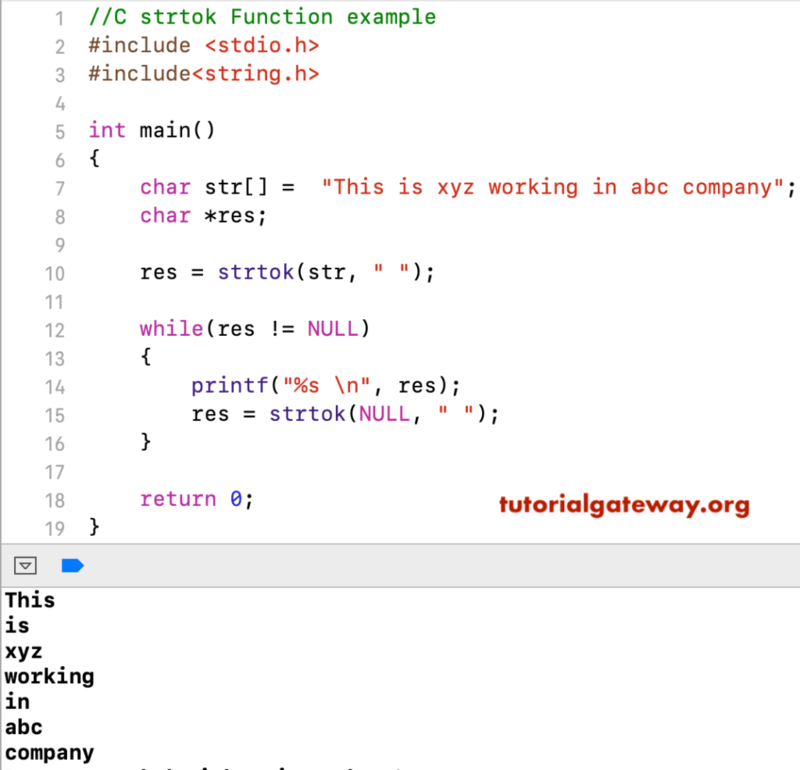 In this article, we will show you, How to use strtok in C Programming language with example. The basic syntax of this strtok in C Programming language is as shown below. TIP: You have to include the #include<string.h> header before using this string strtok function. The strtok function is used to tokenise the given string based on the delimiter we gave. This program help you to understand the strtok with multiple examples using while loop.